English saddles, tack or bits are all parts of English horse riding gear. 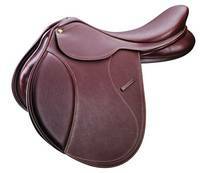 English saddles come in styles from Close Contact, Dressage or All Purpose. 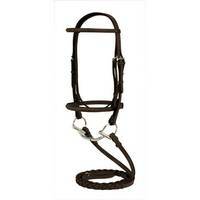 English tack includes equipment like English bridles, saddle pads, stirrups or English reins. English bits come in a many styles like English snaffle bits, Dee Ring Snaffles or English Eggbutt Snaffle bits to suit the riding or training needs of the horse. English saddles, English tack or English bits are available from top brands like Wintec, Ovation or DaVinci. All our English riding supplies come with the HorseLoverz 100% Satisfaction Guarantee. English saddles, English tack or English bits are all parts of English horse riding gear. English saddles come in styles from Close Contact, Dressage or All Purpose. English tack includes equipment like English bridles, saddle pads, stirrups or English reins. English bits come in a many styles like English snaffle bits, Dee Ring Snaffles or English Eggbutt Snaffle bits to suit the riding or training needs of the horse. English saddles, English tack or English bits are available from top brands like Wintec, Ovation or DaVinci. All our English tack come with the HorseLoverz 100% Satisfaction Guarantee.